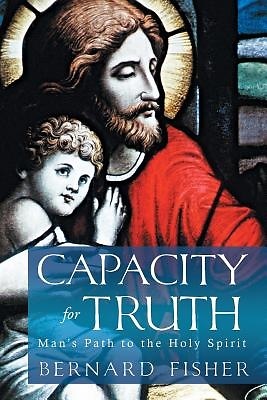 Capacity for Truth is a focused and detailed study of the gospel teachings of Christ. It is a complete review and analysis of his doctrines, designed to provide a complete picture and context of his teachings and to educate Christians concerning higher spiritual principles Christ outlined for his disciples and for his followers. Capacity for Truth also includes an analysis of the social issues affecting our spiritual development, a general review of the Proverbs of Solomon, and an application of Proverbs to current social issues. The primary purpose of this study is to outline our Lord's roadmap of instructions he has prepared us, taking us to higher levels of spiritual growth and awareness, improving our understanding of spiritual principles, filling the voids of doubt and gaps in spiritual understanding left by the most common study approaches. Capacity for Truth will clarify your understanding of spiritual principles, allowing you to reach the level of spiritual maturity required to do to work of God's kingdom. You will receive clear-cut instructions on how to become a part of the ministry of Christ, do and teach the principles he taught, and grow as a disciple of Christ. You will understand the purpose of the Holy Spirit and receive the biblical keys to wisdom and truth. We have for so long stood by, watching while the forces of darkness devour all that is good in man. Now is the time for the children of light to change the ways of this world. Now is the time to begin your work for the kingdom of God.